A Federally Qualified Health Center serving a large, rural area of New Mexico needed a strong healthcare IT partner to deliver on its mission of providing quality medical, dental, and behavioral health services to all in need. 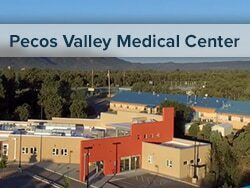 With Electronic Health Records from eClinicalWorks, the providers at Pecos Valley Health Center have been able to provide comprehensive, high-quality services to their patients, and have additional tools to more fully engage their patients. With a strong partnership with eClinicalWorks in place, Pecos Valley Health Center has enhanced patient safety, improved compliance with UDS reporting, can more easily handle structured data, and has the insight and visibility needed to focus care on patients facing challenges with COPD, diabetes, high blood pressure, and other chronic conditions. From its origins in 1975 under the auspices of the National Health Service Corps to its status today as a Federally Qualified Health Center with plans to expand in 2018, Pecos Valley Medical Center has served thousands of residents of a rural area east of Santa Fe, New Mexico, providing primary and specialty care medical services, dental care, and behavioral health services to all in need, regardless of their ability to pay.